Remember the Inca Babies? Those gangly Birthday Party dopplegangers? The “post punk death rock band from Manchester, England, initially active between 1982 and 1988, but reformed since 2007, releasing an album “Death Message Blues” in 2010 and performing live across Europe”? 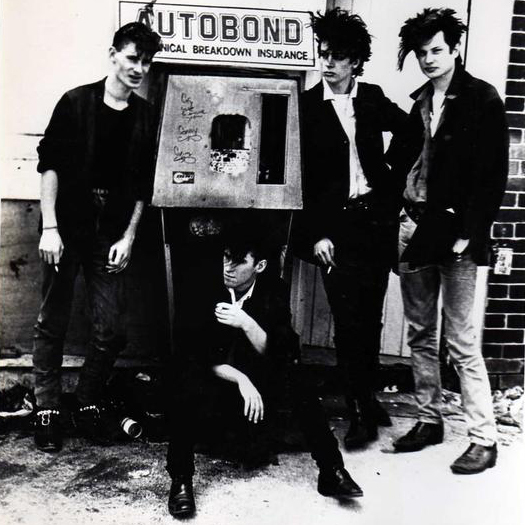 This week on Junkyard, we’ll be featuring that wonderful English post punk band from the early 80’s, who have just reformed and released a brand new single, The Inca Babies, It should be a lot of fun on Junkyard this week!!! via The Inca Babies Special!!! | PBS 106.7FM. NextKilling Joke 2012, volume 6, Killing Joke & the missing singer – has Jaz gone to Iceland… again?